Home Inspiration Watch a Movie 10 Amazing Gambling Movies you Should Definitely Watch! 10 Amazing Gambling Movies you Should Definitely Watch! The gambling, poker and casino topic in the movie industry is in the high demand. We, as the audience, need high-quality entertainment, a bright cocktail of the game, unpredictable actions, adventures, the danger with a beautiful romance and of course easy money. We all love the kind of gambling movies worth placing a bet on. hose movies are especially entertaining for us due to special effects and an exciting story about the brilliant scammers. The heroes of these casino films are not ordinary bandits with knives and revolvers. Those characters use another type of weapons – a sharp mind and the sleight of their hands. Sly players calculate their actions many moves forward, they know how to smuggle their enemy and grab a huge jackpot. Not everyone dares to do something similar in their lives, but such main characters qualities and skills will always be admired. So, if you dare and have such brilliant qualities, why not to try now, online with bettingtop10! Top Cast: Justin Timberlake, Ben Affleck, Gemma Arterton. In this casino film, the director Brad Furman for the first time highlights the world of online casinos. The main character of Richie (Justin Timberlake) spends nights away gambling online. He plays for the reason – to pay for his education at a prestigious educational institution. After his major setback, Richie realizes that he was deceived. He travels to Costa Rica to meet the main boss in the online gambling world. Top Cast: Daniel Craig, Eva Green, Mads Mikkelsen, Judi Dench. In this chapter of the “Bondiada”, the legendary agent demonstrates his phenomenal intellective abilities in the casino. In this movie, gambling scenes are definitely worth your attention. The main role was performed by Daniel Craig, who was considered one of the best actors who played James Bond in history. Top Cast: Jim Sturgess, Kevin Spacey, Kate Bosworth. This is probably the most famous movie about blackjack. Ben is a young gifted mathematician who attempts to find the money for education. Top Cast: Robert De Niro, Sharon Stone, Joe Pesci, James Woods. The movie by Martin Scorsese, with such starring cast, had no chance to fail. Let’s be honest – this is without a shadow of a doubt, the best movie about the casino ever made! Legendary Sharon Stone for the main role in the movie had received a prestigious award – Golden Globe.This movie is like a hot cocktail where twisted everything: mafioso, gangsters, casinos, huge money and of corse beautiful romance – definitely worth your attention! Top Cast: Mel Gibson, Jodie Foster, James Garner, Graham Greene. A fun movie about poker in the Wild Wild West. The main hero (Mel Gibson), a man with the most probably blue eyes on the entire planet, is a professional card player. The film revolves around his deep intention to win the poker championship. Where the prize – a sum that is ridiculous by today’s standards is – $ 25 000. But to win is going to be a challenge! Not only competitor-cheaters going to destroy his plans but also a charming thief in the performance of Jodie Foster. Top Cast: Clive Owen Nick Reding Nicholas Ball. Quite good, but not particularly known role of Clive Owen. A young writer in search of inspiration starts working in a casino. But, he has not attracted by the game, he has not suffered from this passion, and every shift he just coolly collects pieces of inspiration and preparing himself to begin writing the main novel of his life. But, the gambling excitement captures him! It is not without the help of a beautiful woman. See how a decent man can get spoiled by women and strong beverages. Top Cast: Bradley Cooper Ed Helms Zach Galifianakis Justin Bartha. This movie, of course, is not that much about the casino but about the most charming phenomenon in the world – a group of men who start their day with a hangover and do not remember anything. The movie took the “Golden Globe” as the best comedy, and was also awarded by the British Film Academy nomination for the best script. Top Cast: Warren Beatty, Annette Bening, Harvey Keitel, Ben Kingsley. He could join the world history but took a place of honor only in the bloody history of organized crime. His name will never appear on the pages of school textbooks, but it flaunted in the headlines of the criminal chronicles. Benjamin Seagal, nicknamed “Bugsy” – a famous gangster, horrifying the most notorious thugs and the legend of the American mafia of the forties. Unlike the other criminals, he did not aspire to get the big money and absolute power. Bugsy dreamed of building an unprecedented city of the future. A professional destroyer decided to realize his dreams in the middle of a lifeless desert in the center of Nevada. Later this place became known to the whole world as Las Vegas. But on his way to creating a gambling paradise, Bugsy risked more than ever. Top Cast: Charles Martin Smith, Katharine Isabelle, Kris Lemche. This movie in terms of its scenario is somehow similar to the more famous American movie, “Twenty-one” (21)”. A professor of the universities manages to create a system through which you can beat the casino. The teacher teaches three smart students who successfully implement his idea. But then he deceives his students because he has huge problems and a big debt to the mafia. Top Cast: Eric Bana, Drew Barrymore. 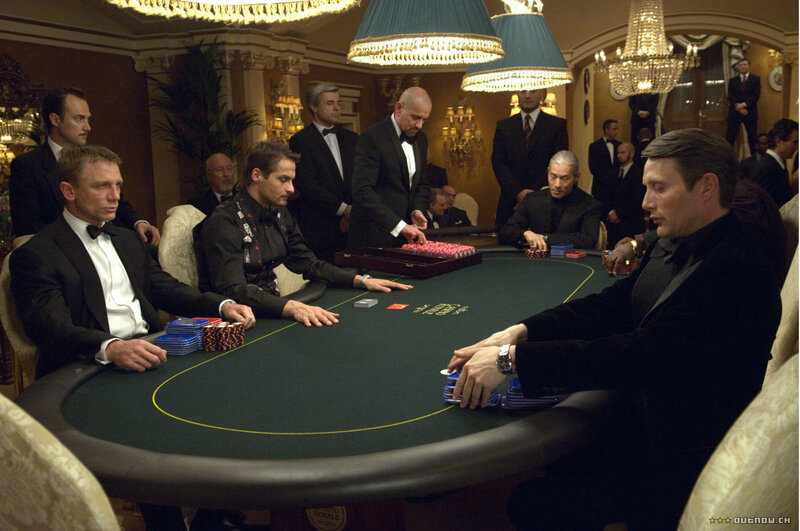 The movie takes place in the world of professional poker. The main character is player Hak Cheever, who invests all his efforts and powers to win and is not afraid to take risks. But In his personal life, he behaves reasonably and carefully, avoiding emotional impulses and any obligations. Huck undertakes to win the 2003 Poker World Championship and at the same time to charm the young lady- singer from Bakersfield, Billy Offer. He meets on his way only one obstacle – his father, the legendary poker player who left his mother many years ago. As a result, the father and son become the rivals not only in life but also at the card table. This movie is one of the best poker movies.